One of the first areas of the economy to be effected by interest rates is the housing market. When interest rates go up, mortgages are more difficult to obtain and people shy away from even applying to get new homes. The falling mortgage rates are creating huge ripple effects in home sales. August of 2014 showed sales of older homes up by millions of units. The results are seasonally-adjusted and annualized over a three month period and the number of sales, reaching five million, occurred in spite of a lack of overall inventory. The industry is still buyer dominated and that gives today’s home buyer a distinct advantage. That advantage isn’t going to last long. Now is the time to get in and make the most of a quick change in the market. Soon, home owners and builders will act on the motion of the market and inventory will become readily available. Once there is an influx of new construction and older homes on the market things will even out. The current apex of change is what is making the current situation so appealing. Low mortgage rates aren’t guaranteed to stay so appealing, and low home prices may quickly disappear as well. It isn’t likely that both will change. One will change to reflect the situation of the economy. 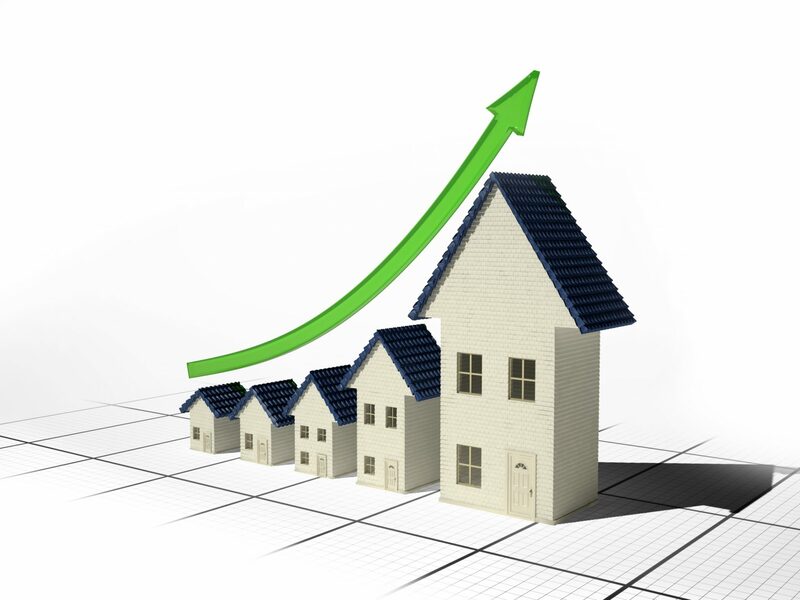 If the economic strength of the country continues to improve, mortgage rates will remain affordable. In that case, home owners and builders will recognize the favorable conditions and the shift of power in purchasing homes will move toward the seller. If economic conditions fall, mortgage rates will go back up. The window is narrow for a really great deal. Now is the time to strike. At the moment, low or no down payment mortgages are plentiful for home buyers. Even those home buyers with low credit scores can get in on the good deals. Approval rates are high, even for home buyers with a credit score of 580 and better. In its Existing Home Sales study for August 2014, the National Association of REALTORS® showed sales of over 5 million homes. Although there is a small drop in sales compared to a year ago, overall, August was the strongest sales month in all of 2014. Low mortgage rates are carrying the market and a small number of investors create an opening for new buyers to enter the market without competition. While the news is great for home buyers, it is also good for sellers. The lack of investors in the market has allowed for overall higher prices on available inventory and home buyers are looking to move up from their lower-priced homes. The average home sales of existing inventory under $100,000 are down 16%. Even homes in the $100,000 to $250,000 range are down by 4%. By contrast, homes selling for more than $1,000,000 are up by 3% since the same time last year. These figures are reported in the Existing Home Sales and are in-line with industry expectations forecast by another of the National Association of REALTORS® report, the Pending Home Sales Index. The Pending Home Sales Index differs from the Existing Home Sales report in that it gives a report of all real estate transactions under contract, but not yet closed. The Existing Home Sales report shows sales that have closed and are complete. Since 80% of all home sales close 60 days following a contract, these two reports are a strong indication of how the market is reacting to current economic conditions. With mortgage rates holding strong at the lower rates, borrowers are seeing lending quotes in the 3% area. With the demand as strong as it is in the current housing market, home sales are rising all over the country. The Existing Home Sales report gave an indication of the supply situation of currently available homes. With 5.5 months of active inventory in the Multiple Listing Service used by national realtors, the report shows that all of the current homes for sale in the country will have sold in the next 5.5 months. Traditionally, a supply of inventory in the housing market indicates a seller’s market. That is a condition where sellers have the upper hand in real estate transactions and get the best contract terms. Because the demand for homes is high and inventory is low, sellers have leverage over buyers. Anyone even considering selling their home should strike now while the iron is hot. Home buyers need to be aware of the situation, and know that this condition is of a very short-term duration. Their time is coming, and getting approved for a loan now, while interest rates are low, prepares them to strike as soon as the inventory peaks, and the balance of power shifts. Home loans are increasingly available for these purchases. More mortgage programs for no down payment, low down payment and luxury home loans are becoming available every day. One of the most popular choices for low down payment loans today is the FHA loan. These loans only require 3.5% down and provide flexible terms and approval options. They even have ways of allowing for lower than average credit scores. Along with FHA loans, Fannie Mae has a 95% program that is a government-backed program. The Fannie Mae 95% program is an excellent choice for buyers with very good credit scores looking for single-family dwellings or other types of detached homes. This loan type is not a good choice for anyone wanting a mortgage for a condominium or town home. There is even hope for buyers who prefer the more sedentary lifestyle. Where rural and sub-suburban real estate loans are traditionally difficult to obtain, the USDA now has loans backed by the Department of Agriculture for rural estates and suburban locations. The USDA loans are zero-down loans with sub-market mortgage rates that offer great advantages to home buyers. Finally, anyone who is looking to up-grade to a more luxurious lifestyle, and wants a home in the over $750,000 range has fantastic options available. Banks are anxious to obtain more jumbo loans on luxury real estate, and many have loans available for just 10% down. These same loans are being offered with relaxed requirements, and banks have lowered their credit score requirements. These loans have prompted a spike in luxury housing sales, and they continue to make gains.